Looking for alternatives to Flowgear? Tons of people want iPaaS software to help with hierarchical data, managed file transfers, and data chunker. What's difficult is finding out whether or not the software you choose is right for you. We have compiled a list of iPaaS software that reviewers voted best overall compared to Flowgear. Based on reviewer data you can see how Flowgear stacks up to the competition, check reviews from current & previous users, and find the best fit for your business. Anypoint Platform™ is a complete platform that lets companies realize business transformation through API-led connectivity. It is is a unified, flexible integration platform that solves the most challenging connectivity problems across SOA, SaaS and APIs. "Easy integration of projects through MuleSoft. : I liked all the Connectors, Scopes, Components, Transformers, Filters, Flow Control, Error Handling used in the AnyPoint Studio. It really helped in the faster development of our project and achieved customer satifaction after the deployment. Also API designer, flow designer, Exchange, API console, mocking service, Access Management, Runtime Manager, API Manager in the AnyPoint studio is quite easy to learn and to work upon. Everything we need in a Java project comes bundled in MuleSoft's Anypoint platform." Zapier enables you to automate tasks between other online services (services like Salesforce, Basecamp, and Gmail). Connect hundreds of best-in-breed SaaS apps. "Automate actions: With zapier automate actions between web applications for a more functional use between them and to collaborate more between one app to the others and can perform tedious tasks more easily I keep the most important information of the clients to concentrate more on my work so that I do not have to move between different app. Besides, your good work flow between the app is very simple to do it does not take a lot of time it is a few clicks"
PieSync allows you to keep all your contacts in 2-Way, Real Time Sync no matter if you use (Gmail/Outlook, Salesforce, Pipedrive, Constant Contact, Prosperworks, HubSpot, MailChimp or ActiveCampaign to name a few). "PieSync Saves Me so much valuable time: I like the customer support the best because I was having trouble with a connection once and instead of reaching out to them to help me with it, I just kinda stopped with the rest of the process. Luckily for me they noticed this and actually reached out to me and helped me through the process. If I had To Go Back and do it again. I would reach out to them first and ask all the questions i have before i forget them like i did last time." "Centralize Your Applications: The dashboard is classic! Makes everything easy to manage. They provide many features which can be used with very less difficulty. One of the best feature that has impressed me is the way one can centralise all the data and can use a single data store for different applications. This helps to sync data between different apps and the issue of inconsistency is resolved forever. It also provides feature to build APIs to manipulate data between enterprise systems." Dell Boomi AtomSphere connects any combination of cloud & on-premise applications directly from the web with no software, coding or appliances to install. Data & application integration suite providing business users a quick, cost-effective and simple way to design, deploy and manage a broad range of integrations. "Fantastic Integration tool with fantastic support: The platform has many great features. The UI is great taking the complexity out of making connections to a wide variety of back-end platforms. Built in connections to a large number of enterprise systems makes connectivity and integration fast and simple. This allows for even a junior app/dev resource to get an integration up and running very quickly. This entire platform reduces integration timelines by virtually eliminating the complexity. " SyncApps integration platform allows any business to create Enterprise level software integrations using a simple point & press interface to integrate Dynamics 365, Mailchimp, Constant Contact, NetSuite, Salesforce, QuickBooks, Zoho CRM, Zendesk, Xero, Highrise, Handshake, SugarCRM, SuiteCRM and many more. "Best Sync App! : Easy use of platform, Simple integration, Hassle free setup, Clarity in reports and Price! The best thing about syncapps is, it saved us almost 6 hours in a week. We used to manually download and upload datas through CSV, Since cazoomi that time is transferred to do better things. Use the app without any second thought, This is one of the apps we have ever used and bought. It does the sync perfectly without any problem. No IT person was needed. We set the report in netsuite and added the key accordingly and in matter of minutes all got sorted." "Celigo is a perfect fit for our business model: The data that Celigo pulls into our system allows us not only to automate all of our processes, but it provides us granular details on sales that are typically not available for a company our size. If you have NetSuite, Celigo is a must. Celigo does exactly what we need it to do in that it gives us the ability to see live sales data, product movements, etc. We also have a customer connector that helps to process our warranty orders. " Xplenty is a data delivery platform, designed to enable teams to derive insight from marketing campaigns data, sales pipeline statistics, customer data, application usage analysis and others. "Xplenty performs great: The key things for us are that Xplenty is a cloud-based ETL tool that links to most of the sources and destinations that we need. When there is no native connector, the REST API connector will achieve the result we want, and the support team are always ready to jump in and help if needed. I also like the fact that the support team and comprehensive documentation is often focussed on helping you learn achieve the result you want rather than doing the job for you. This has helped us leverage the learnings for other uses. In terms of pricing, we also found it was highly competitive." The only intelligent automation platform that enables both business users and IT to build, operate and rollout app and data integration, process and workflow automation, in a single platform - without compromising security and governance. "Workato - it works best! : The Workato product interface is brilliantly thought through and designed. The learning curve for first timers is easy enough to get started and build useful things, and Workato really shines in their ability to handle complex triggers and interactions. Workato allows people to build software apps so much faster than by coding each functionality. Specifically, so many developers waste time building features and integrations that Workato provides with simple to use, drag and drop recipes. The depth of available integrations is really amazing, the time and effort put into this product is seriously beyond anything I’ve seen or used before, congrats to an amazing team! " Modular collections of integration components built for a specific application or data source. "Easiest ETL Tool: dealing with snap has been more Convenient way than any other tool with complex mapping. I worked on informatica for 3-4 years and now Snaplogic has become favorite ETL tool because of its functionality and ability to provide quick ETL solution." Connect all your applications and data quickly and easily, whether you are a business application owner, integration specialist or developer. "Excellent for data migration: It is responsive, as soon as all Metadata has been cached and easy to use after a short introduction phase. The maps we build can be reused for other Migration projects. " Amazon API Gateway is a fully managed service that makes it easy for developers to create, publish, maintain, monitor, and secure APIs at any scale. "API Gateway - Simplest API Tool ever: API Gateway allows you to create in very few clicks (really it is super fast) an API for all your applications, and at different scales. In my company, we have to provide different types of access to different features to our customers depending on their field of work so it is very useful for us to be able to create different APIs. " 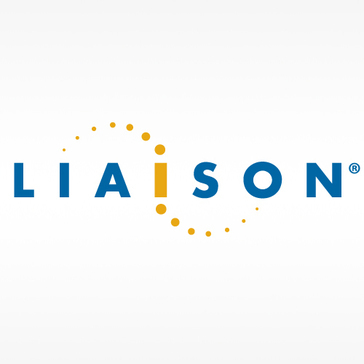 Liaison ALLOY® Platform’s cloud-enabled data integration and management solutions allow more than 7,000 customers worldwide to meet today’s toughest data challenges. "Great platform for delivering data insights to our sales and marketing divisions: Combination of built in functionality, frameworks, and accelerators coupled with the implementation team that is able to quickly customize the product to provide targeted business value. Their integration product has adapters for all the sources in our ecosystem." Informatica Cloud Connectivity. Rapidly Integrate Cloud and On-Premise Applications, Databases and Files. 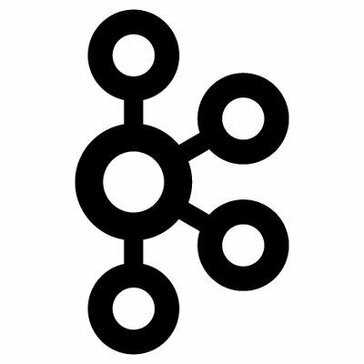 "Informatica Clould : Real time tracking of web service callouts and the response from the target system is very helpful to track and monitor"
Apache Kafka is an open-source stream processing platform developed by the Apache Software Foundation written in Scala and Java. "sistema de mensajería distribuido : Es un sistema de mensajería basado en el modelo publicador/subcriptor, persistente, escalable, replicado, tolerante a fallos, capaz de atender cientos de megas por segundo de lecturas y escrituras provenientes de miles de clientes. Es un proyecto opensource creado inicialmente por Linkedin para solventar las limitaciones de los sistemas de mensajería como Jms." "Fast, Simple and straight forwards Integration Platform: The system is based on a simple and convenient solution, after a very short learning time, we can write interfaces really fast. The system comes with an extensive set of connections to major systems. Using SQL to perform data manipulation is very convenient and allows to perform just about anything. The integration into the production environment and the replication of interfaces are very simple. The system significantly shortened the TTM of new interfaces. Most important, the quality of service is much better than other providers. The local(secure) agent is very useful in connecting to on-premise systems"
IBM DataPower Gateway is a single multi-channel gateway designed to help provide security, control, integration and optimized access to a full range of mobile, web, application programming interface (API), service-oriented architecture (SOA), B2B and cloud workloads. "Fastest and Safest Messaging Medium for Middleware Services: IBM DataPower has been recognized as the primary contender when we are talking about millions of messages to be transferred from one source system to another and you also want to change the message format or content or just a few of the tags in between. DataPower has the most advanced security protocols available like SAML, Kerberos, OAuth, WSSR and of course SSL and TLS. It has the power to compute thousands of transactions per second at wire speed and with accuracy and it supports all types of formats whether SOAP, MQ, JSON or MIME. It also has the capacity to convert one message format into another with the help of Multi-Protocol Gateway service which is inbuilt in DataPower. capacity to "
Integrate all your cloud and on-premises data with a secure cloud integration platform-as-a-service (iPaaS). Talend Integration Cloud puts powerful graphical tools, prebuilt integration templates, and a rich library of components at your fingertips. Talend Cloud's suite of apps also provide market-leading data integrity and quality solutions, ensuring that you can make data-driven decisions with confidence. "Talend is a great ETL tool: Talend's integration with most platform and more apparently it supports machine learning and big data integration is the most beneficial thing for every domain in industry. Especially, when you can easily build a recommendation system using Talend tool. Talend connects with numberous database, has API connectivity. This makes the tool really very customizable for the users and application engineers. Numerous connectors helps to develop application business logic under one roof. Continuous integration reduces overhead of repository management and deployment"
Azuqua is a cloud-native integration platform-as-a-service, that lets anyone connect cloud applications and automate business workflow. With Azuqua you can automate manual tasks, sync data across your apps, and integrate processes between your apps. "Azuqua is a great tool for in depth integration: The simple UI and customized help for each card makes it easy to troubleshoot errors. I was able to reach out and extend my trial to give myself more time to confirm that it would work for our needs. It works seamlessly and can track all of the iterations which helps me know that it is continuing to work." Hi there! Would you like help finding solutions similar to Flowgear?